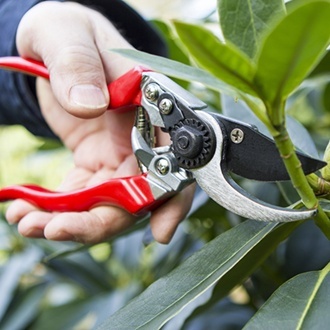 Darlac Professional Left Hand Bypass Secateurs/Pruner is created for left hand users. Features a locking catch operated by the left thumb, a reversed blade and decisive tensioning system with a locking plate. Cut Capacity: 20mm. Created for left hand users. Features a locking catch operated by the left thumb and a blade reversed for precise cutting. Perfect for light and hard pruning. Best sharpened with Fine Grade Diamond Sharpener. This pruner has a decisive tensioning system with a locking plate to prevent loosening in use.